Cynics might say Valentine's Day is a contrived pseudo-holiday manufactured by corporations looking to sell flowers, cards, jewelry, and candy. The romantics might say it's a valuable opportunity to appreciate those you love. I say it's a great opportunity for shameless self promotion. Over the years, Jorge and I have written our fair share on the topic of love in video games, so I thought I'd offer a quick retrospective on some of the highlights. 2008's Prince of Persia is one of our favorite games from the last few years. One big reason for this is the interesting relationship between Elika and the Prince. Few games from major publishers explore the arc of an adult relationship, but Prince of Persia explores everything from regret, to levity, and even selfishness. It does so through dialog and cutscenes, but also through visual and mechanical storytelling. As Jorge pointed out, seeing two characters physically interact with one another is a rare experience, one that speaks volumes without using words. I like the dynamic between the Prince and Eilika, but that doesn't mean it isn't without its problems. Prince of Persia might not be a standard "save the princess" story, but that doesn't mean it doesn't reflect traditional gender roles. Even fake relationships have their problems. On the subject of fake relationships, I was happy to get the chance to learn more about the dynamics behind of gaming's most famous couples: Link and Zelda. While playing The Legend of Zelda: Spirit Tracks, I was delighted to find Zelda and Link working together on a joint journey. Instead of being stuck in a crystal for the whole game, a disembodied would possess hulking monsters to help Link fight his way through dungeons while making little jokes and sarcastic comments all the while. The two were inseparable by necessity and not simply predestined to be linked. After decades, it was nice to have the chance to get to know Zelda. Veering back towards real life, we find my thoughts on how Braid captures the social dynamics that occur when people find out that you're married. However, not everyone forgets your individuality when you tie the knot. For example, Jorge very graciously celebrated Hanah's and my marriage with a excellent (if embarrassing!) post on love. For a more rule-based approach, check out my latest contribution to Ctrl+Alt+Defeat, in which I explore the ways games express emotions with systems. It's one things to fill the screen with hearts and flowers, but it's another to simulate the feel of feelings. 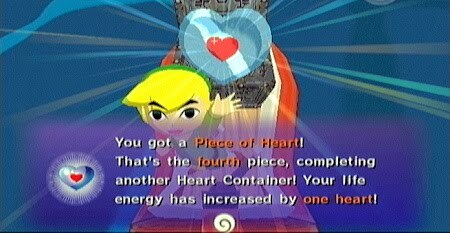 Speaking of feelings, I'm feeling pretty good now that Hanah and I have finished The Legend of Zelda: Skyward Sword. We were attempting a joint playthrough, and thankfully our relationship survived all the devious dungeon traps and furious Wii waggling. It was the first time I had played a single-player game so closely with another person and it definitely made it a more enjoyable experience. In the days to come, I hope to expand on this experience. For now, I'll just recommend that everyone tries this experiment for themselves with some sort of action/adventure game. What could be more romantic than venturing into a dark cave with your loved one and beating the hell out of some rabid bats? So there you have it: a brief retrospective on love, relationships, and video games, Experience Points-style. Let it never be said that Jorge and I are Valentine's day grinches; clearly we're just big softies at heart.